DXR is a code search and navigation tool aimed at making sense of large projects like Firefox. 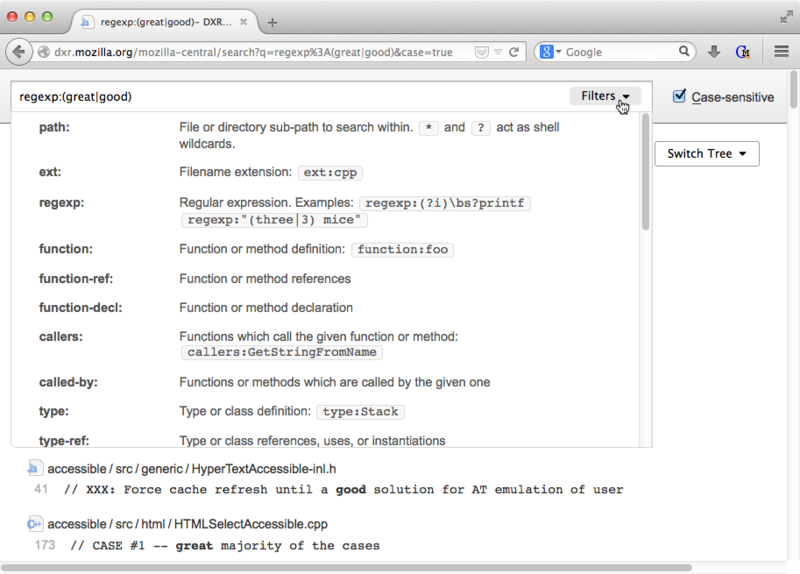 It supports full-text and regex searches as well as structural queries like “Find all the callers of this function.” Behind the scenes, it uses trigram indices, elasticsearch, and static analysis data collected by instrumented compilers to make searches faster and more accurate than is possible with simple tools like grep. DXR also exposes a plugin API through which understanding of more languages can be added. © Copyright 2014, various. Revision 9781e01f.